Maxi dresses are another great basic that you can work several different ways. When I'm running around town or working in them, I like to tie up one side to keep the length under control. This works great if you're shorter or you have a maxi dress that might just be too long for you in general. 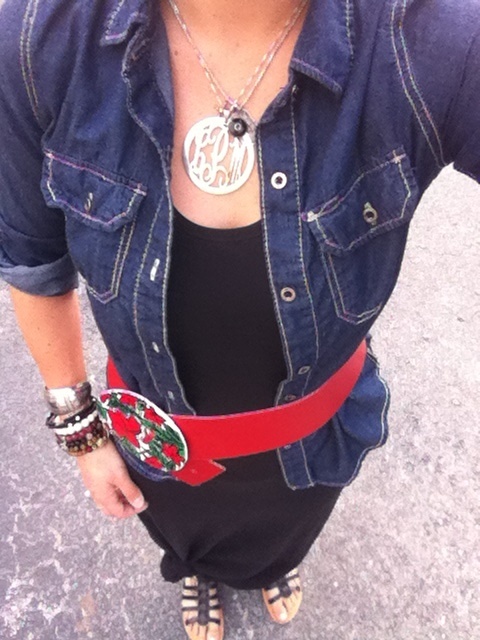 I added a painted vintage belt to add a pop of color to the dress and chambray combination.